Finding Dory has continued breaking box office records and Brad Bird revealed that The Incredibles 2 is happily moving along in production. Now the title and a teaser video for a new short film has been revealed! 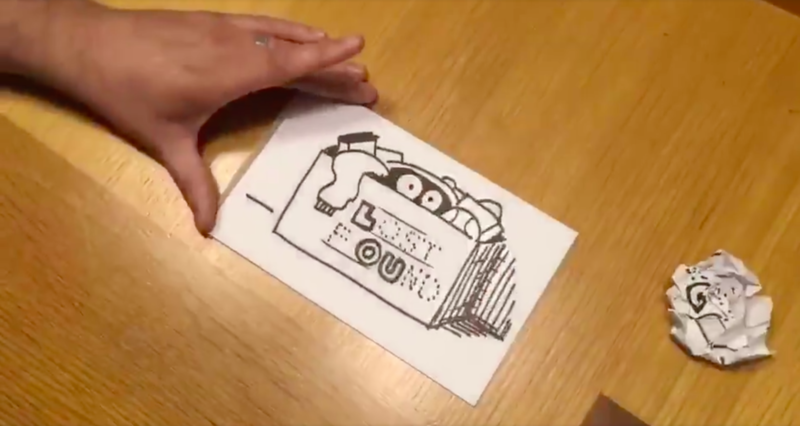 Dave Mullins announced via instagram that he is set to direct the new short, titled “Lou.” The brief video clip can be viewed here. Mullins is a short film director and animation supervisor. He’s been at the studio since 2001, with credits on every Pixar feature. Lou is in a lost and found box, which means he could be a toy. Even with the soundless clip, the short promises to be very intriguing. His bugged out eyes make him appear anxious. We can’t wait for more concept art and story details to drop! No word yet on whether this will open with Cars 3 next June, but it most likely will.